…and that’s an awesome start. 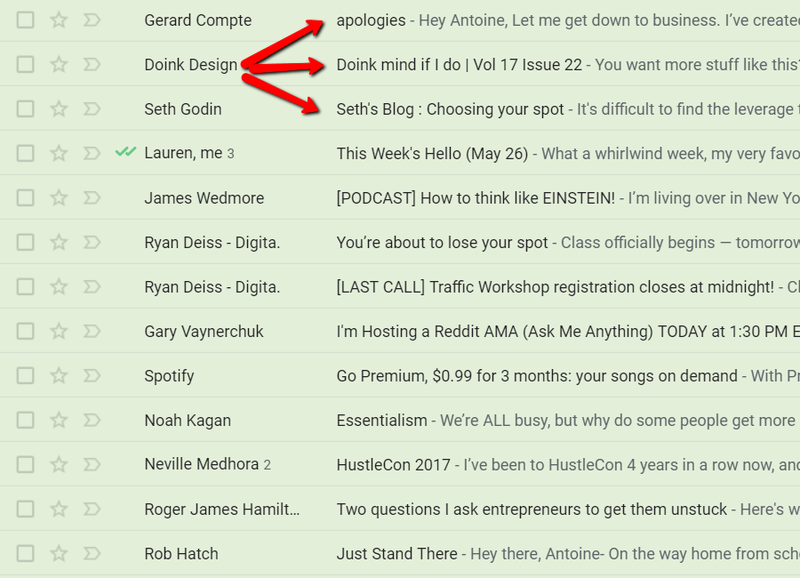 There are a few tricks you aren’t using that you could implement right now – that will significantly increase the number of people that open the email and read it. Here’s a transcript of the above video that outlines the 3 (three) things to implement this week to give you better results. Let’s first talk about email open rate and email click-through rate. Most email marketing tools should be able to give you that data and that data is absolutely vital. You need to know what it is. And if your current system does not give you your open rates and click-through rates, then maybe it’s time to switch. Email marketing tools like Constant Contact, Aweber, GetResponse, MailChimp, InfusionSoft. All provide that data which is really vital to know what you are doing well, and what you are not doing well. I tested all of them and I settled on GetResponse because it had all the features and the pricing that worked for me. And with email marketing, you need to be able to measure your open rate over time. According to the Watson email marketing benchmark report, the average open rate for Real Estate people or people in the Real Estate industry is 28.1%. The open rate for Restaurants is 25.5%. I’m gonna put a link below to the report so you can click, download it and then check out what is the average open rate for your industry. Because what’s most important is to be able to measure yourself against your industry’s average. Watson Marketing came up with a great report, which shared the average open rate across all kinds of industries. If you are looking at your average, and you have 12%, and the average for the industry is 25%, you have a massive amount of improvement to do. How do I measure myself based on the average that is out there for my industry? The average open rate my industry, marketing, and design services, is 24.2%. So we’re measuring ourselves against that. We are always trying to beat that average. To be better than average. And before we start on the detail, let me give you one thing that I think is important. If you have a very low open rate, it’s a symptom of either two things. The first symptom is that your email database may be old and stale. Or, the number two symptom is your content may be a little bit boring or passé, or just people don’t connect with it. Or maybe it’s a combination of both. Your email database is old and stale, and your content is, well, not that interesting. It may be time to do a little bit of spring cleaning with your email database. My good friend Doug Barra with Action Coach, shared his open rate with me. And he gets consistently between 31% to 43% open rate. That’s a really good open rate. And what did he do to get a result like that? He cleaned up his database. He had a database of about 2,000 emails. When he really looked at it, he just found a lot of emails that were outdated or were no longer in service (they were just old and stale). So he knocked down his 2,000 email database to just 500. Now remember, something with email marketing, quality is much better than quantity. What’s the point of a 5,000 email database when nobody reads your mail? You may want to rethink the format of your email marketing. Our emails are short and sweet. No images, just text with a link to read more if you are interested in the article. I am very clear that the vast majority of people, just like me, don’t have time to read very long emails with multiple articles. I get those emails all the time. Okay, I’m just gonna put it in my read later folder to read later. Now with our new format for my company, we get about 25 to 30% open rate. With a database of 1,100 emails. But originally our database was 4,000 emails, that was a lot of emails, and we did the same thing. Okay now, let’s talk about the three things you can do this week to improve your open rate. A recent study that I read, showed that 70% of people open their emails based on the subject line alone. 7 out of 10 people wouldn’t even open your email before they make a decision. They’re going to make that decision on the subject line alone. I hope that gives you the incentive to look at your subject line in a whole new light. XYZ company monthly newsletter, or using a clever name in a newsletter like you know a sound bite or something like that. So again, what I do is I put it in a folder to read later and guess what I do? Just like you, I never look at it, right? And so in your subject line, remember that the rule of thumb of less is more works really well. And make sure that you are actually saying in the subject line what the context or what the subject line of this week’s or this month’s email is about. That’s what is going to get me to open it up. “How To Make Money With Real Estate”. Now when I look at a subject line like that, I know exactly what the content of this email is about. It’s about making money on Real Estate. If I’m interested, I’m gonna click on it. Here’s is the second thing you can do to improve your open rate this week. In the same study I was reading about the subject line, it says that 60% of people now open their email based on the From Name. And here is my advice to you, consider using a first name and last name, instead of your company name. I don’t know about you, but when I get an email, and it’s a company name versus a first name and last name, when I look at the company name I am thinking they are either trying to sell me something, they are trying to enroll me into something. Like, it has something to do with their business, and I have no time for that. If it’s coming from a first name last name, it doesn’t trigger that same response thinking it is most likely a sales offer of some kind. Instead, it feels like it’s actually coming from someone, a real person. So, I’m much more likely to click on that email, open it and read it. #3. Format of your emails. Look, I’ve been using email marketing since 2001. I used to have a database of 140,000 emails. So I’ve been doing email marketing for a long time. The format I love the best is the clean and simple format, just beautiful plain text. 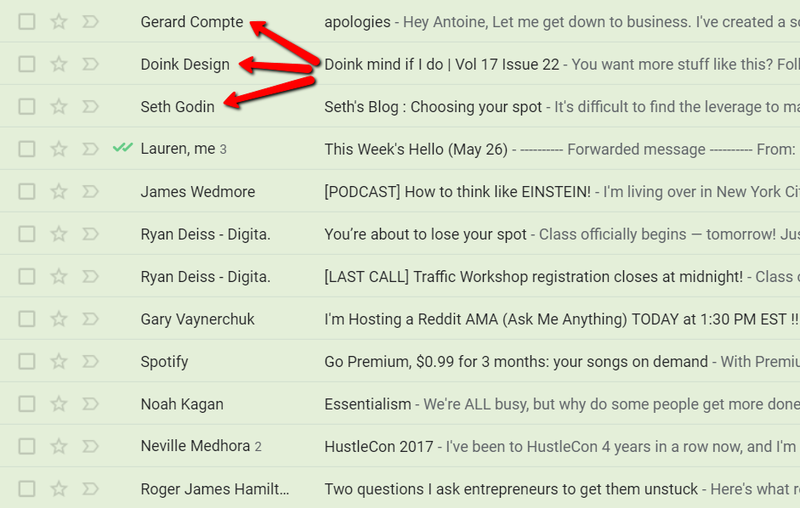 I know that a lot of you are trying to make your email marketing look like a well designed, glossy newsletter. 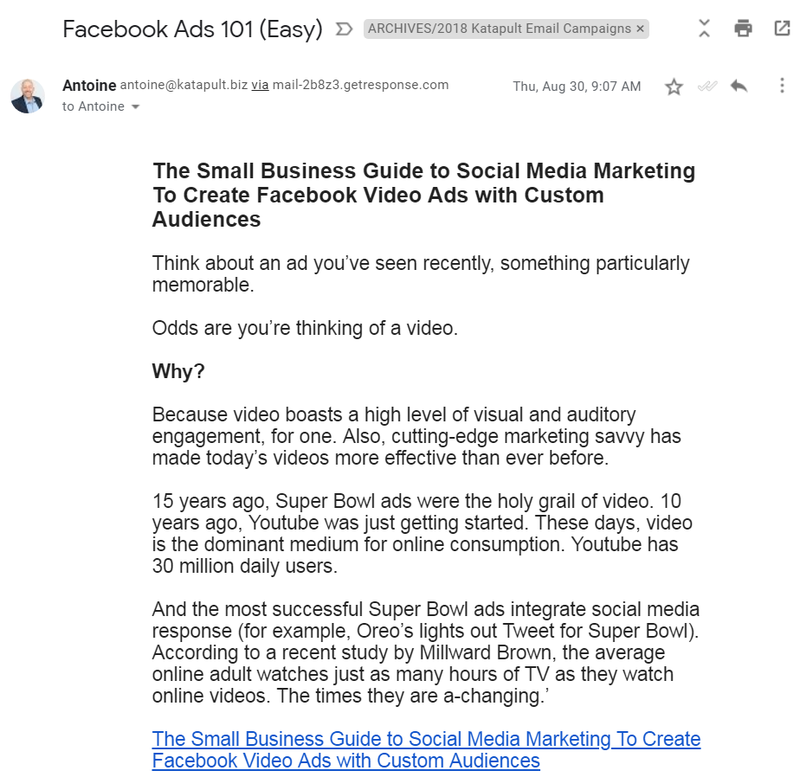 But, here’s the deal, I don’t know about you, but when I get an email that’s got a lot of articles and a lot of content and everything, I’m usually overwhelmed. See how sending out something like that doesn’t help your business? Just try with text only, a great subject line, first name, last name. With half an article in the body and a link to read more of the article on your website. See if that improves your open rate. The subject line, the from the name, and the format of your email. You change those three things this week, and I guarantee you, you will see an improvement in your open rate.